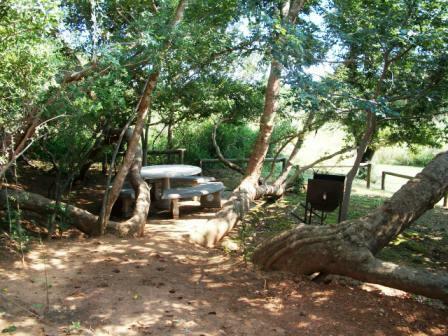 Buffelsdrift, Rust de Winter is in the Dinokeng area, near Johannesburg and Pretoria, and is the ideal place for a bushveld break. 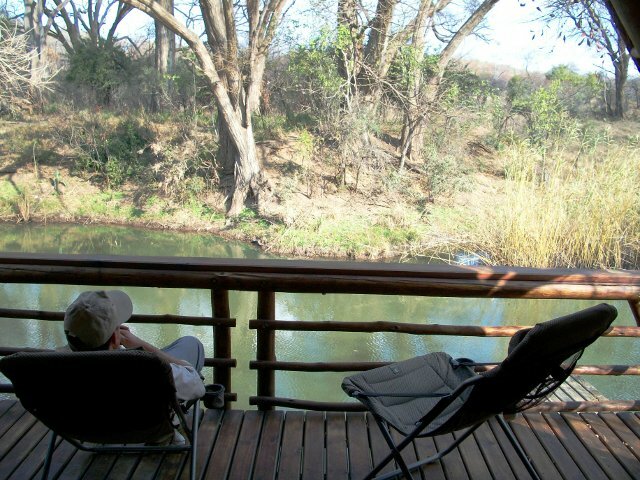 The only traffic you will need to worry about is the wildebeest and zebra crossing the road. 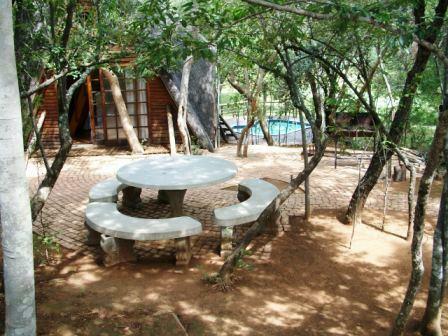 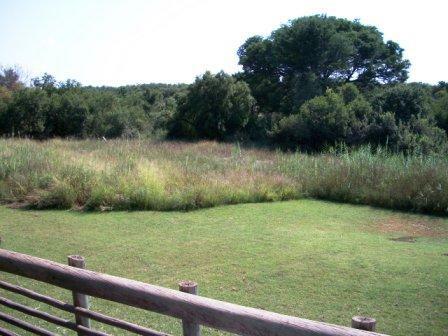 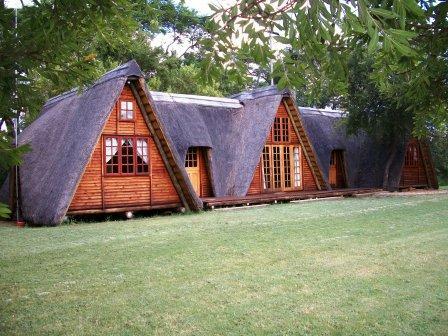 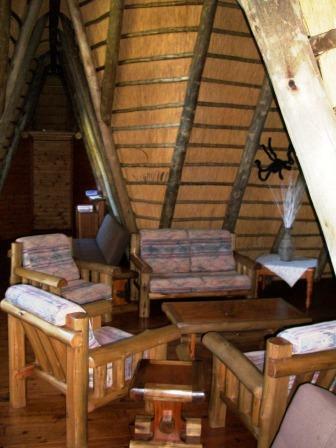 Accommodation is offered in three secluded self catering cottages each with its own shady braai area with wood supplied. 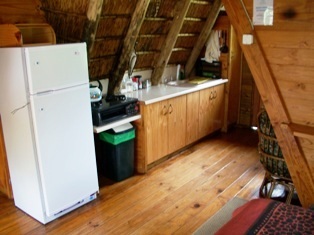 The cottages all have a gas stove, fridge, hot water and solar lighting. 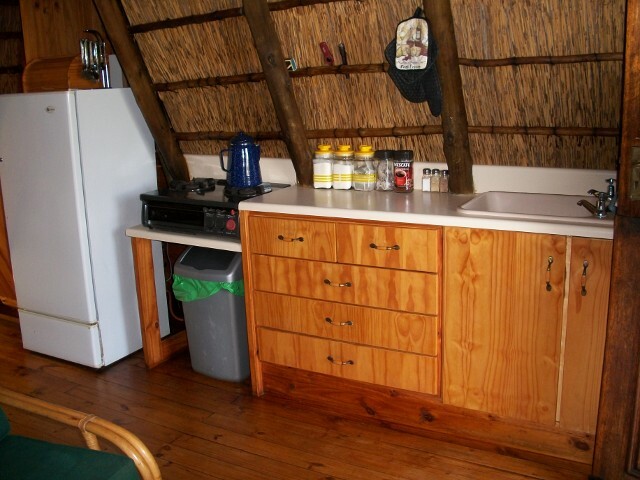 Linen and towels are supplied and the kitchens are fully equipped with cutlery, crockery and cooking utensils. 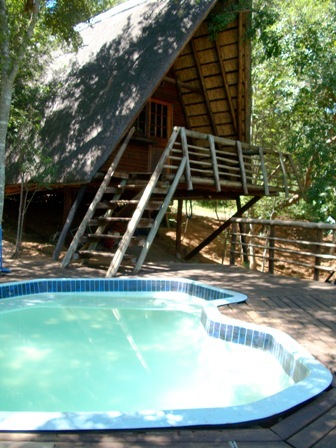 Set amongst the trees the Squirrel Cottage is the only cottage with a swimming pool. 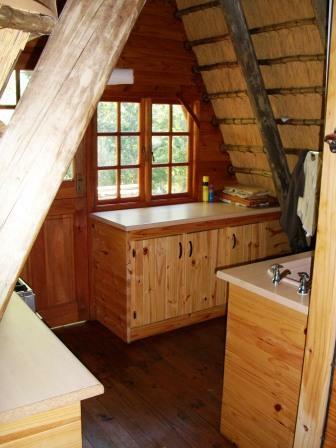 It has an en-suite bedroom, a loft with two beds, a open plan kitchen and a sitting room. 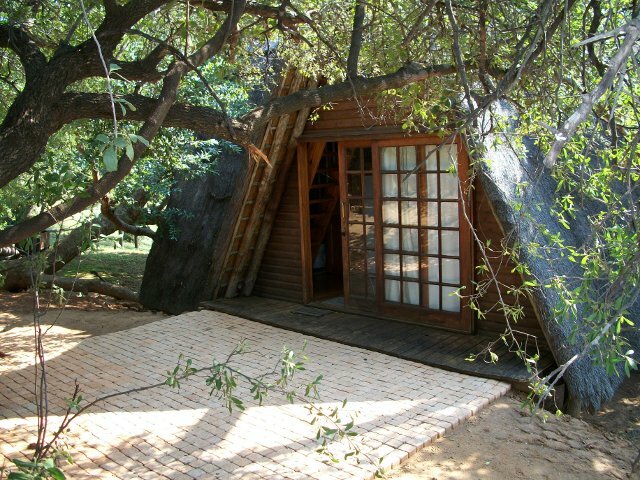 The Squirrel Cottage sleeps four people. 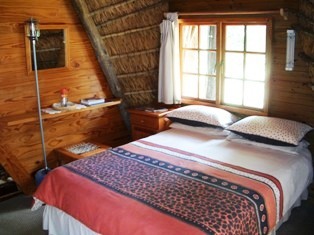 For accommodation rates click here. 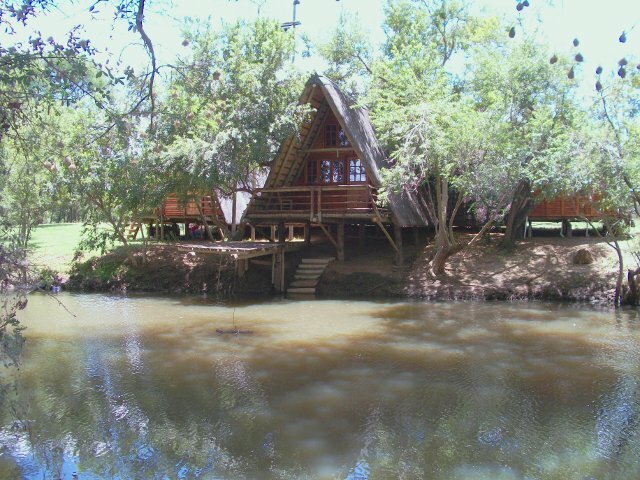 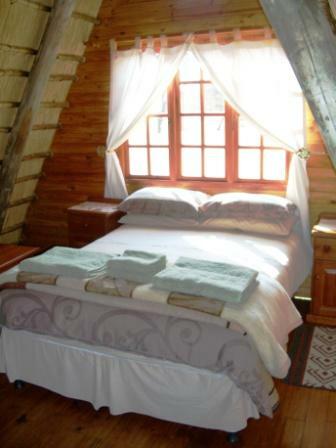 Across the bridge over looking the river, in a serene and secluded spot, is the Bushbuck Cottage. 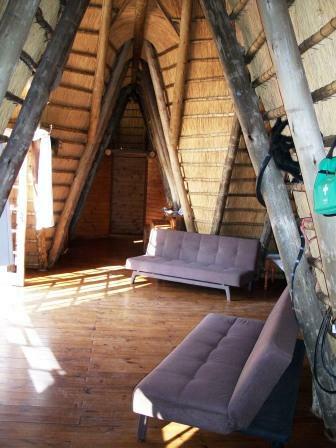 It has an en-suite bedroom, a loft with three beds, an open plan kitchen and a sitting room. 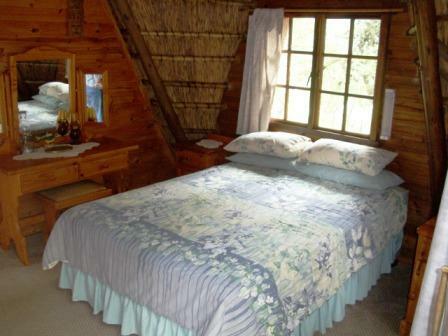 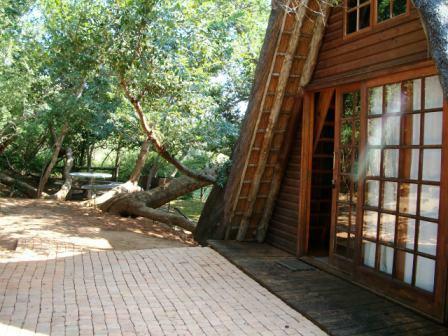 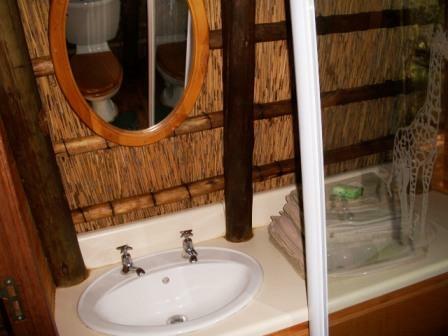 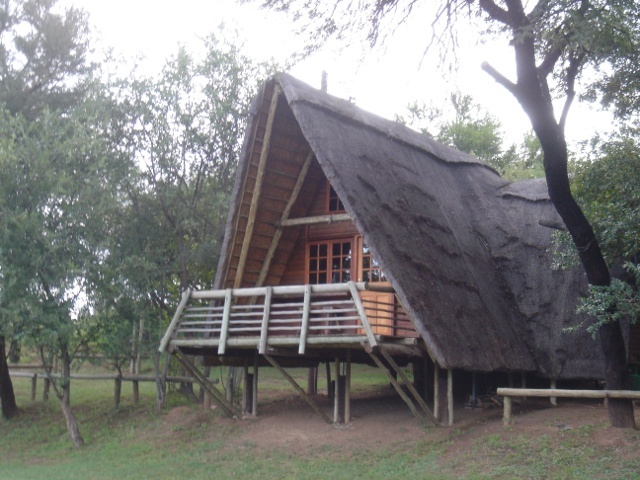 The Bushbuck Cottage sleeps five people. 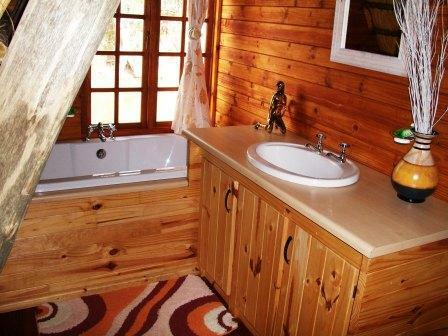 Built on the banks of the Elands River, with a deck that overhangs the river, the Crocodile Lapa has two en-suite bedrooms, a third bathroom with a shower and toilet, as well as a sitting and dinning room and a kitchen. 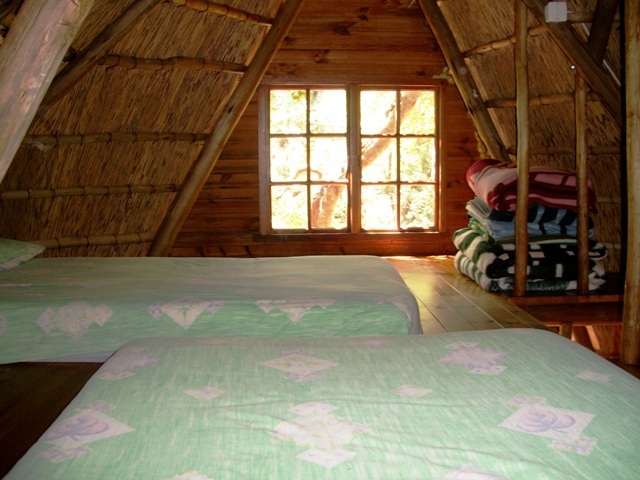 With the two sleeper couches in the sitting room the Lapa can sleep 6 to 8 people. 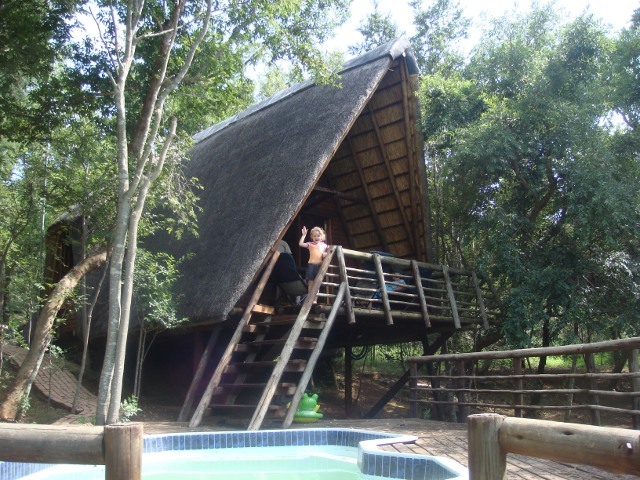 For more details and photographs on things to see and do click here.